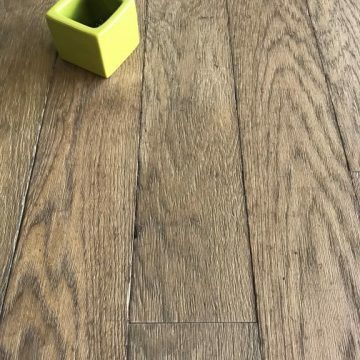 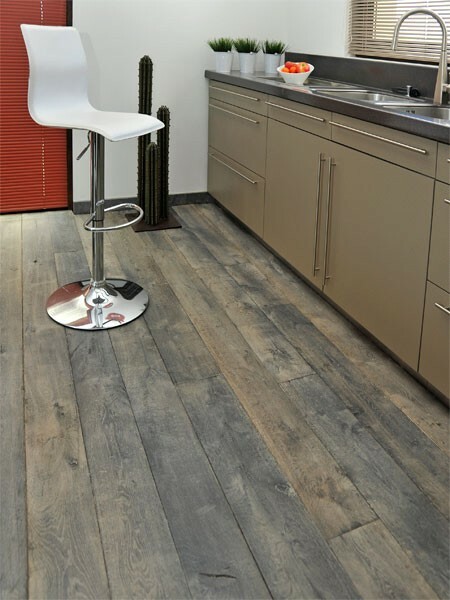 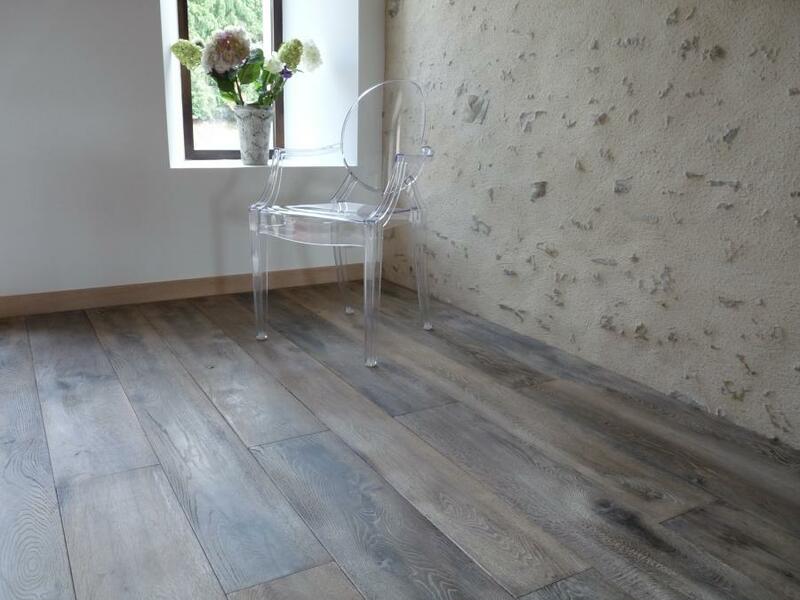 Pepper “Antiqued” oak floor: Wide oak floorboards, aged, tongued & grooved, and pre-finished, BCA’s “Pepper” (Poivre) flooring from the Spices Range has the convincing look and feel of aged and weathered antique oak floorboards. Available with “brushed” (brossé) or “distressed vintage” (vieilli) surface. 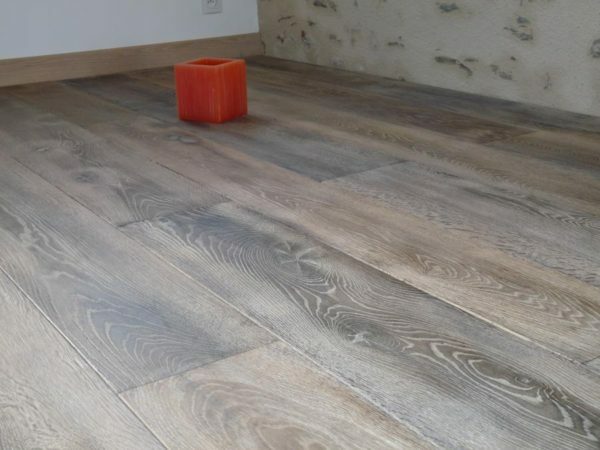 The board lengths are mixed, from 70 to 250cm (27.5 to 98 inches). 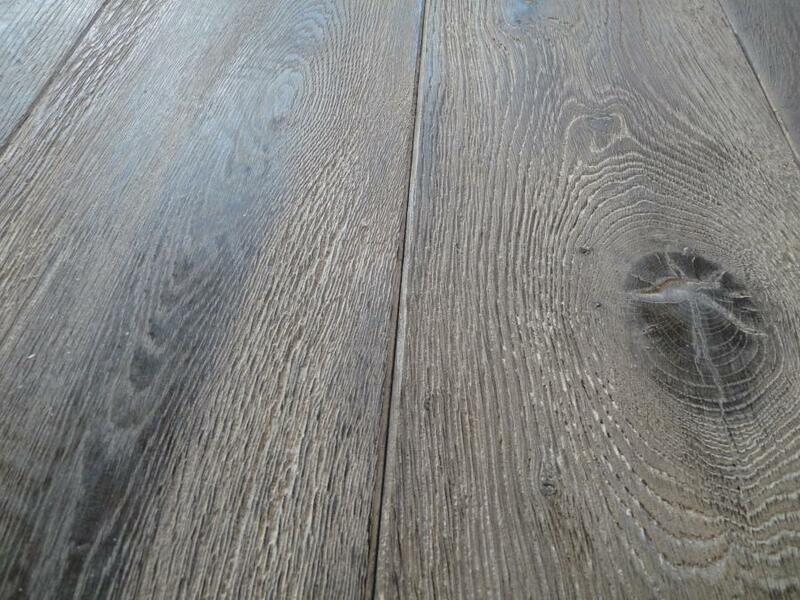 Solid oak version 14mm (0.55 inch) thick x mixed widths 10, 13 & 16cm (3.94, 5.12 & 6.30 inches). Solid oak version 20mm (0.8 inch) thick x mixed widths 16, 19 & 22cm (6.30, 7.50 & 8.70 inches). Oak engineered version 16mm (0.63 inch) thick, including its 4mm (0.16 inch) top oak layer x mixed widths 18.5, 20 & 22cm (7.28, 7.87 & 8.66 inches). 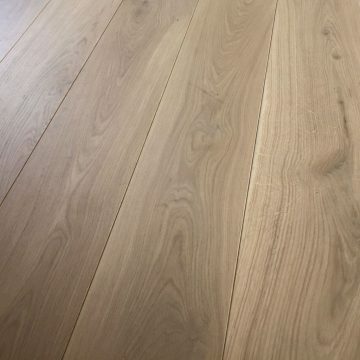 Oak engineered version 21mm (0.83 inch) thick, including its 6mm (0.25 inch) top oak layer x mixed widths 18.5, 20 & 22cm (7.28, 7.87 & 8.66 inches). 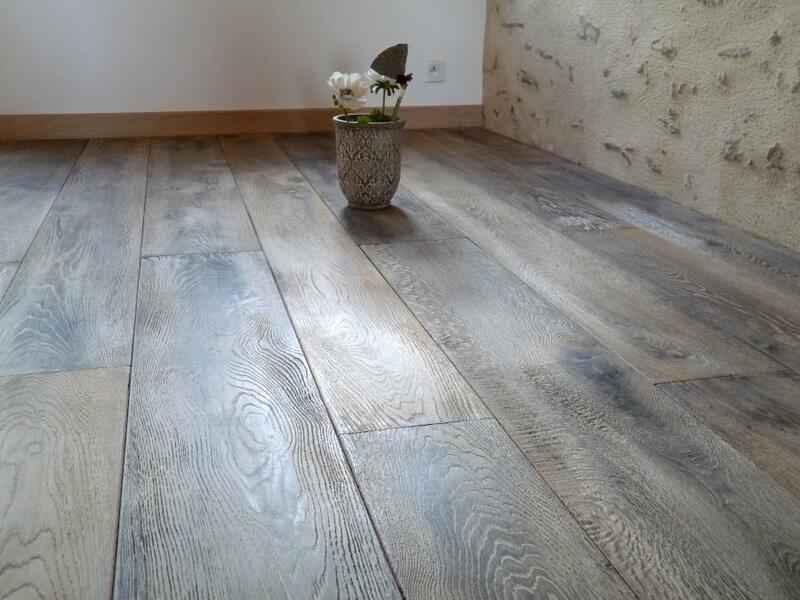 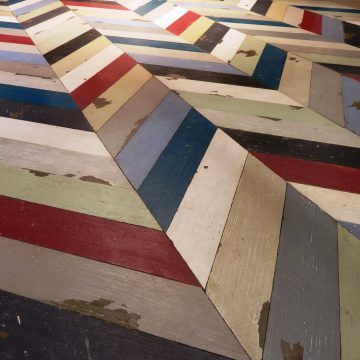 ALSO available in CHEVRON format, known as POINT DE HONGRIE, enabling you to design the same finish oak flooring into different rooms but with a change to a classic format.